Just like Chiropractic, Massage therapy can be a great tool to restore normal function to the muscles and jointsproviding long term natural pain relief. At West Coast Chiropractic, you will receive deep tissue massage and myofascial stretching. Depending on your condition, massage therapy may play a small or large role towards your road to recovery. Chiropractic care focuses on the musculoskeletal system and the effects of disorders in this area. It is used to treat neuromusculoskeletal complaints, including but not limited to back pain, neck pain, pain in the joints of the arms or legs, and headaches. Chiropractors practice a drug-free, hands-on approach that includes patient examination, diagnosis and treatment using a technique known as spinal manipulation. The most common treatment performed on patients is known as the Diversified Technique, which is a practice of manipulation of the spine, neck and other joints. 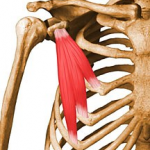 Diversified adjustments use a specific line of manual thrust that goes deep into the joint. This corrects mechanical distortions of the spine or joint within the joint cavity and also stretches the soft tissue which may have formed around the misaligned joint. By adjusting the spine or joint, and thrusting it into its proper position, the fluids and tissue move more freely and are distributed properly within the joint, which can ease pain and discomfort. Adjustments using this technique are called high velocity, low amplitude thrusts, and they are intended to create motion in specific places in the spine or neck, or in joints to restore function and proper structure to the joint or spine. During chiropractic adjustments, a popping sound is heard. This osseous as it is called, is simply gas being released from the tiny bubbles that exist in bodily fluids that surround the joint. Chiropractors do not limit their scope to pain relief but, also use chiropractic adjustments as a diagnostic tool to determine if there are root causes of pain and or illness that can be eliminated. When injured, it is even more important that the body has the tools it needs to absorb important components for healing. Sprains, strains, and acute joint traumas require a reduction of inflammation and healing of the tendon or ligament. Getting proper nutrients in your body can help you heal faster and more efficiently from injury. From a scientific standpoint, many body systems must intertwine and play a part to heal an injury. 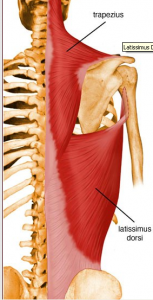 Biomechanical changes can affect tissue stress and strain. The nervous system provides sensory input and output to help movement patterns develop. A brain/body component is the basis for motor learning and motor control. Understanding the role of nutrition for normal body function and tissue repair is critical. The optimum sources for enzymes, antioxidants, flavonoids and organic sulfur are raw and living foods that are not processed, dried, cooked or preserved. Try including these 10 foods in your diet to help reduce inflammation and help your body heal faster. Dark, leafy greens like spinach and kale are packed with flavanoids, which may reduce inflammation. Good sources include spinach, kale, soybeans, berries, and tea. This tropical fruit contains the enzyme bromelain, which can help treat muscle injuries like sprains and strains. Add pineapple to a smoothie or salad. Fish oil is packed with omega-3 fatty acids, which helps reduce inflammation. Higher doses are needed for an anti-inflammatory effect, so have a spoonful before a meal or add it to your smoothie. Orange carrots are rich in carotenoids, a group of phytochemicals that help protect cells from free radicals, boost immunity, and help regulate inflammation. Other carotenoid-rich foods include apricots, tomatoes, sweet potatoes, squash, and pumpkin. Research has shown that cinnamon not only reduces inflammation but also fights bacteria, assists with blood sugar control, and enhances brain function. Sprinkle cinnamon over yogurt, cereal, or oatmeal, or add it to a smoothie. Ginger contains several anti-inflammatory compounds called gingerols, which may relieve joint pain, prevent free radical damage, and increase immunity. Steep a couple of slices of ginger in hot water for ginger tea. Try using onions as a base for soups, sauces, and stir-fries. Similar foods with anti-inflammatory benefits include garlic, leeks, and chives. One of the richest known sources of antioxidants, tart cherries are an anti-inflammatory powerhouse. Research suggests that tart cherries offer pain relief from gout and arthritis, reduce exercise-induced joint and muscle pain, and improve inflammatory markers. Drink a glass of tart cherry juice or combine dried tart cherries with nuts for a snack. Walnuts are loaded with anti-inflammatory omega-3 fatty acids. Top a salad with a handful of walnuts or eat raw walnuts as a snack. A mustard-yellow spice from Asia, turmeric gets its coloring from a compound called curcumin. Researcher shows that curcumin can improve chronic pain by suppressing inflammatory chemicals in the body. Make a homemade curry with turmeric or mix it into other recipes once or twice a week. Most of the chronic pain syndromes seen in our office have a postural component. Poor posture can slow or stop recovery; and poor posture can deteriorate the spinal joints much faster than normal aging. Posture correction can treat the most common muscle imbalances such as the anterior pelvic tilt (deep gap in lower back, belly sticking out) and the hunched over shoulders with protruding head sticking out. 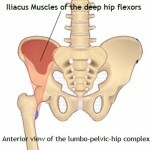 These muscle imbalances can be corrected with posture correction exercises and stretches with remarkable results. There are many different types of muscle imbalances that can be corrected with the right posture exercises, but we start by addressing the two most common muscle imbalance that most people suffer. 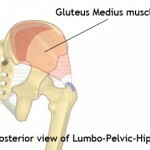 These two muscle imbalances are the anterior pelvic tilt and hunched over shoulders with protruding head sticking out. 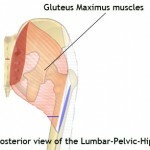 The targeted muscles to correct the anterior pelvic tilt are primarily the Psoas Major and the Iliacus muscles of the deep hip flexors and the Gluteus Maximus, Gluteus Medius, and the Gluteus Minimus. 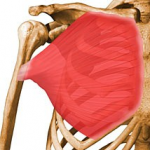 The targeted muscles to correct hunched over shoulders with protruding head that sticks out are theLatissimus Dorsi, upper and lower Trapezius, Pectoralis Major and the Pectoralis Minor muscles.